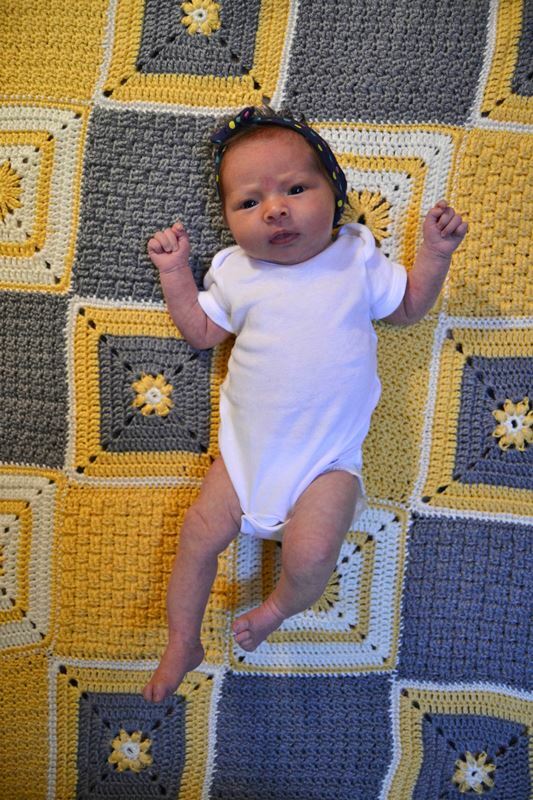 Jane is one month old! As most second children go, we often compare her to her older sister. 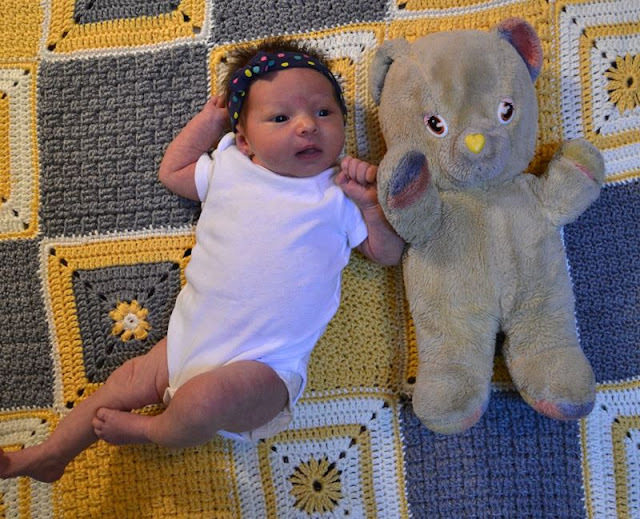 Jane has taken a little longer to adjust to life than Eleanor did, but she was also born two weeks early. 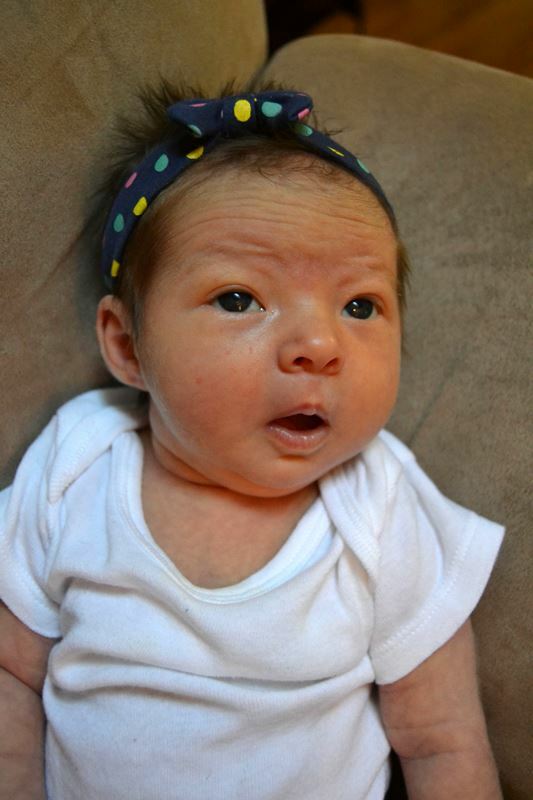 For about the first two weeks of life, Jane barely opened her eyes and struggled to stay awake long enough to eat. Around her actual due date, she perked up and started joining the land of the living. She's finally found her lungs, and is working very hard on head control but still has a little ways to go. 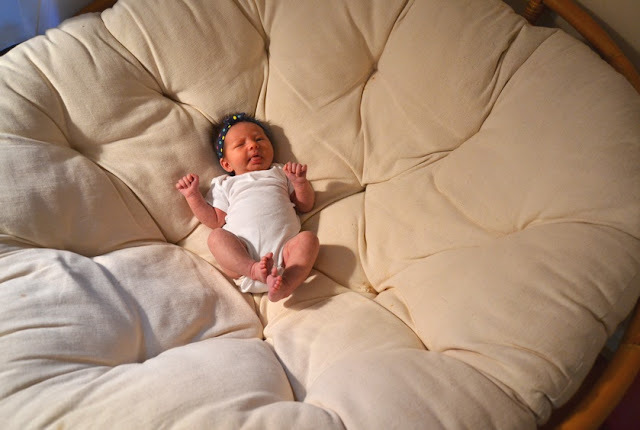 She doesn't yet weigh enough to safely go in the moby wrap, so she still spends most of her time in her carseat or our arms. She is now breastfeeding like a champ (after she hit about two weeks old) and will also take a bottle from daddy. She doesn't seem to like the the pacifier yet, but we are working hard on that because it was such a God-send with Eleanor. She seems to prefer her hands/thumb, but we are going to try to avoid that if we can. She is still touch and go with her sleep, sometimes sleeping all day and being more alert at night. The longest stretch she's gone so far is about 4 hours. 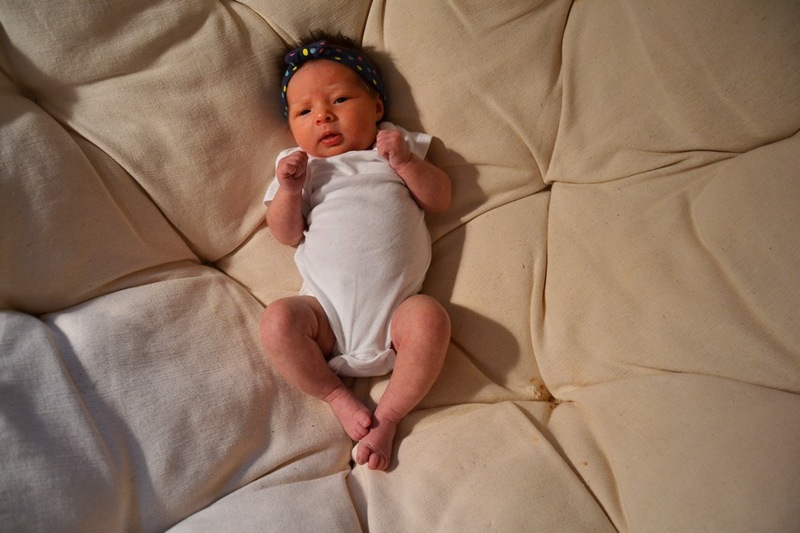 At her 2 week doctor's appointment, Jane weighed 6 pounds, 13 ounces and was 19.5 inches long. She has definitely grown since then! 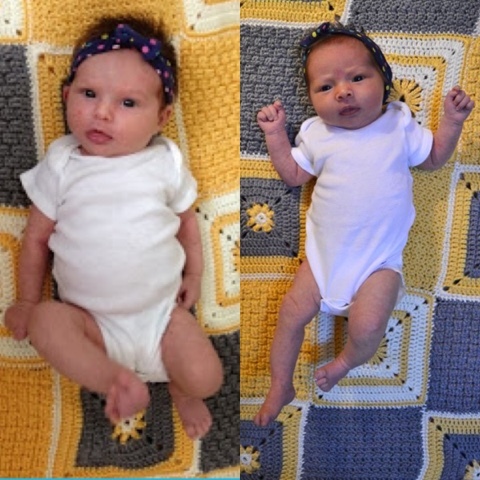 For reference, Eleanor at one month. So cute! She does look 2 weeks smaller than Eleanor was. Great to hear she is doing so well! So Petite! But making progress for sure! Thanks for doing a side by side! They are so similar, but yet I can see subtle differences. Love them!! Jane is so sweet! Glad to hear she is eating like a champ and also letting you rest some!